Francis (Frank) Foley, the third of six children of Andrew Wood Foley and his wife, Isabella Turnbull, was born in Highbridge, Somerset, on 24th November 1884. Others wanted to move to the Jewish homeland in Palestine. Since the First World War Britain had administered the area with instructions from the League of Nations to "facilitate Jewish immigration". However, after Palestinian Arabs began to riot, British policy on immigration was a constant attempt to appease the Arabs with strict limits on the number of Jews to be allowed into Palestine. Frank Foley died at his home, 32 Eveson Road, Norton, of heart failure on 8th May 1958. It is becomring increasingly apparent that the Party has not departed from its original intentions and that its ultimate aim remains the disappearance of the Jews from Germany or, failing that, their relegation to a position of powerlessness and inferiority. No Jewish dentist, whether a frontline fighter or not, may now be admitted as a panel dentist. No Jewish lawyer, whether a frontline fighter or not, may now be admitted as a professional legal adviser. No apprentice may be entered to the publishing, trade unless of Aryan origin. Almost all Jewish artists have been forbidden from exercising their calling. For the Jewish youth, the future holds out no prospects in Germany and the greater part will be forced to emigrate. The liberal professions are now completely closed to them. 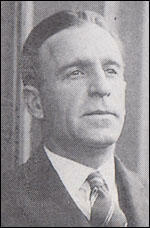 He (Frank Foley) had developed 'a long standing and officially established liaison' with the German police 'for the exchange of information about Communism'. This had survived the establishment of the Nazi regime. In October 1937 Foley's relations with the Gestapo's 'Communist expert' were described as 'cordial'. By this stage, however, his refusal 'to satisfy the Gestapo lust for information on the subject of anti-Nazi Germans in England on the false grounds that they are Communists' had alienated other senior Gestapo officials. After the Arab unrest began, the British Government limited the influx of Jews to Palestine more and more severely... The more time went on and the greater the power of the Nazis and the fear of them grew, the more severely immigration was restricted. It was the period of the British policy of appeasement when everything was done in Britain to placate the Nazis and to reduce Arab pressure in Palestine and the whole of the Middle East to a minimum. There were British envoys in posts in Berlin at that time who carried out London's policy to the letter, who were impervious to humanitarian considerations and who more often worked for the greater good of the Nazi regime in friendly cooperation with its ministers. The Consulate's premises had virtually been transformed into a place of refuge for the Jews who sought protection from persecution. Thirty-two thousand men were held in concentration camps in those weeks and their wives besieged Capt Foley in order to effect the liberation of their husbands from the camps. At that time it was a question of life and death for many thousands. In those days, he revealed himself in all his humanity. Day and night he was at the disposal of those who sought help. He issued visas of all kinds on a large scale and thereby assisted in the liberation of many thousands from the concentration camps. What were the motives that stirred him to act like this? We who worked closely with him in those days often asked ourselves this question. Before all else, Foley was humane. In those dark days in Germany, to encounter a human being was no common occurrence. He told us that he was acting as a Christian and that he wanted to show us how little the Christians who were then in power in Germany had to do with real Christianity. He detested the Nazis and looked on their political system - as he once told me - as the rule of Satan upon earth. He loathed their base doings and regarded himself as duty bound to assist the victims of their misdeeds. Foley acted however also as a good Englishman. He saw all the crimes of the regime at closest quarters and therefore realised better than ministers in London that there could never be any real peace with these people. His links with the leaders of the Jewish organisations were however useful too for his own country. Foley fulfilled other important functions in the service of his country and obtained continual and invaluable information from us about the Nazis' newest crimes and intentions. Through his endeavours, the British authorities received an accurate picture of what was currently going on in Germany. I cannot tell you much about my work as we are under the Official Secrets Act and not supposed to gossip... Today I spent entirely on filing - work that ought to have been seen to days before. The staff is about double its normal sizeand they are closing the office for two days a week in an effort to keep pace with the rush. There was a queue waiting when we got there at nine this morning and I believe some of them had been there since 4 am. When we had elbowed our way through, the porter tried to turn us away until I explained three times that we were here to work, when he laughed and took us to Captain Foley - our chief. He is an active little man, wears a brown Harris Tweed jacket and appears to work 14 hours a day and remain good-tempered... He is not at all terrifying to work for and we are just managing to get each day's letters opened and numbered now that the staff is about doubled. I sit all day at the card index, with two other new girls and a man who came over from London a few weeks ago and the phone goes non-stop from nine (in the morning)... The big businessmen seem to have been preparing, some of them for a long time, and have the necessary capital in foreign banks, but more pathetic are the uneducated letters from wives whose husbands are in concentration camps (some of them have died there or are in hospital as a result of infection caught there and undernourishment). It is a panic-stricken land and many former adherents of the regime are now apparently violently anti. Jews trying to find a way out of Germany queued in their hundreds outside the British consulate, clinging to the hope that they would get a passport or a visa. Day after day we saw them standing along the corridors, down the steps and across the large courtyard, waiting their turn to fill in the forms that might lead to freedom. In the end, that queue grew to be a mile long. Some were hysterical. Many wept. All were desperate. With them came a flood of cables and letters from other parts of the country, all pleading for visas and begging for help. For them, Frank's yes or no really meant the difference between a new life and the concentration camps. But there were many difficulties. How could so many people be interviewed before their turn came for that dreaded knock on the door. A visit to the Passport Control Office here this morning showed that families were often represented only by their womenfolk, many of them in tears, while the men of the family waited in a concentration camp until some evidence of likelihood of emigration could be shown to the Secret Police. While harassed officials dealt firmly but as kindly as possible with such fortunate applicants as had come early enough to reach the inner offices - about 85 persons were seen this morning - a far larger crowd waited on the stairs outside or in the courtyard beneath in the hope of admittance. The doors were closed and guarded much to the annoyance of Germans seeking visas, some of whom complained angrily of being forced to wait among Jews and demanded preferential treatment, though without success. The winter of 1938 was a harsh one and elderly men and women waited from six in the morning, queuing up in the snow and biting wind. Captain Foley saw to it that a uniformed commissionaire trundled a tea-urn on a trolley along the line of frozen misery, and all this despite the clientele, neurotic with frustration and cold. Others pleaded, offered bribes, threatened, flattered, wept, and threw fits. Capt Foley always maintained his composure. As an ex-Army man, he knew that it was fear that motivated the heavy-coated bundles of despair outside his front door, wriggling to escape the closing claw. As a deeply devout Christian in deed as well as in spirit, he would not allow himself to be upset by the traumatised herd stampeding across his desk. He was the bespectacled son of a Devon railway worker who by helping thousands of Jews escape the Holocaust provoked the rage of the Fuhrer and marked himself for death. Major Francis E. Foley, known as Frank, is remembered as a "British Schindler," a man who used an apparently humdrum office job in Berlin to green light the exit of Jews being persecuted by Hitler's regime. It has now emerged that his role at the British Embassy ahead of the outbreak of the Second World War did not go unnoticed. To mark Battle of Britain Day on September 15, a remarkable historical record can be viewed in English – and online – for the first time. Known as Hitler's Black Book listing 'enemies of the state, traitors and undesirables, marked for punishment or death', it has been painstakingly translated from the original German by specialist military genealogy website Forces War Records. It documents 2,820 of the Third Reich's most wanted people in Britain, for targeting following invasion. One unexpected name was Frank Foley, who hailed from the Somerset village of Highbridge, near Burnham-on-Sea. 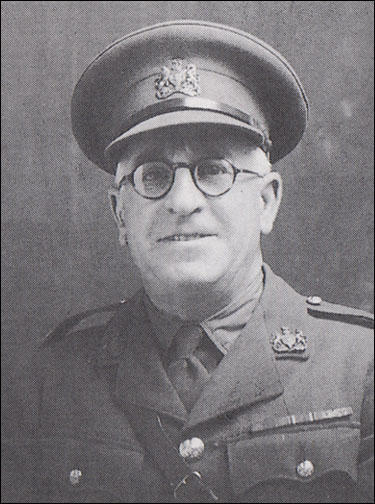 Born in 1884, he was seriously injured during the First World War but nonetheless joined the intelligence services and ran a network of spies in France, Belgium and the Netherlands. After the Great War he worked as Passport Control Officer in Berlin, a cover for his work as head of the Berlin Station of the British Secret Intelligence Service (MI6). 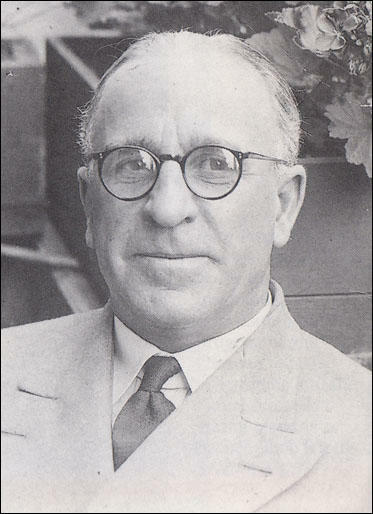 His position enabled him to save tens of thousands of people from the Holocaust in the lead-up to the Second World War, as despite having no diplomatic immunity and being liable to arrest at any time, he blatantly broke the rules when stamping passports and issuing visas to allow Jews to escape "legally" to Britain and Palestine. Sometimes he went further by going into internment camps to get Jews out, hiding them in his home and helping them get forged passports. He was recalled to Britain at the outbreak of the war in 1939, by which point the Nazi's were on his trail and he was added to the Black Book. As it was, he lived to do even more damage to their regime. In 1942 he helped to co-ordinate MI5 and MI6 in running a network of double agents, the now framous "Double Cross System". At the 1961 trial of former ranking Nazi Adolf Eichmann, he was described as a "Scarlet Pimpernel" for the way he risked his own life to save Jews. One Jewish aid worker estimated that he saved "tens of thousands" of people from the Holocaust. Foley died in 1958 and recognition for his astonishing wartime bravery was delivered posthumously. He was lauded in Israel, the subjects of monuments and plaques in his home town and as lately as 2010 posthumously named a British Hero of the Holocaust by the British Government. Captain Frank Foley was stationed in Berlin as the head of MI6's covert intelligence operations in Germany's capital in the inter-war years until the Nazi invasion of Poland in 1939. His cover as Passport Control Officer provided him with official, though non-diplomatic, status and it was in this capacity that he saved many thousands of Jews by enabling them to escape from Germany before the outbreak of war. Some are known to be among the members of the AJR, though many others do not themselves appreciate that it was Foley who provided the all-essential visas with which they and their families obtained entry into Britain, Palestine and other countries in the British Empire. A hand-carved and inscribed limestone memorial plaque to Foley, who died in 1958, has been unveiled in his home town of Stourbridge in Worcestershire by Rabbi Dame Julia Neuberger in the presence of Foley's niece Patricia Dunstan, senior officials of Dudley Council, be-medalled standard carriers of local branches of the Royal British Legion, Michael Smith, Foley's biographer, and Richard Krakowski and other members of Stourbridge's Frank Foley Study Group. A moving dedication ceremony included the reading of a psalm by Rabbi Leonard Tann, an address by Belsen survivor Paul Oppenheimer, and the reciting by Rabbi Neuberger of Kaddish, the Jewish memorial prayer. 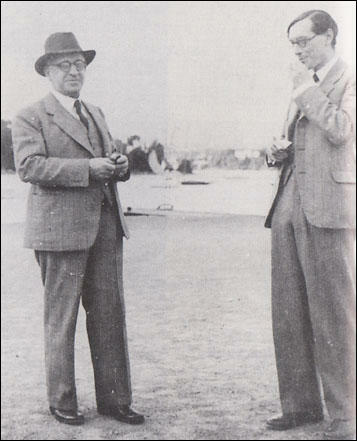 The fact that Foley was a British spy, said Michael Smith, "made his efforts on behalf of the Jews even more dangerous." Having no diplomatic immunity, he was in danger of arrest at any time, yet he went into concentration camps to get Jews out, hid them in his home - among whom was Rabbi Leo Baeck - helped them to obtain forged passports, and ignored the rules to provide them with visas. For his country Foley was also a brilliant intelligence officer, recruiting one of the best Soviet agents the West ever had, persuading German scientists to hand over the secrets of Hitler's rocket programme, and playing a key role in the remarkable Double-cross counter-espionage. He was also chosen to debrief Deputy Führer Rudolph Hess following his unanticipated flight to Scotland. In 1999 the memory of Frank Foley was honoured in perpetuity by Israel at Yad Vashem in Jerusalem as one whose acts placed him among the 'Righteous among the Nations'. Foley, the Spy Who Saved 10,000 Jews by Michael Smith, was first published in 1999 by Hodder & Stoughton. A "true British hero" of the Holocaust who risked his life to save 10,000 German Jews has had his bravery marked at a Jewish cemetery. The plaque honoring Major Frank Foley has been placed at the entrance to Hoop Lane cemetery in Golders Green.. In the late 1930s, Major Foley worked as a passport officer at the British Embassy in Berlin. But the job was a cover; Foley was an MI5 agent and he did everything he could to help Jews escape Nazi Germany by providing them with visas, passports and other means of exit. 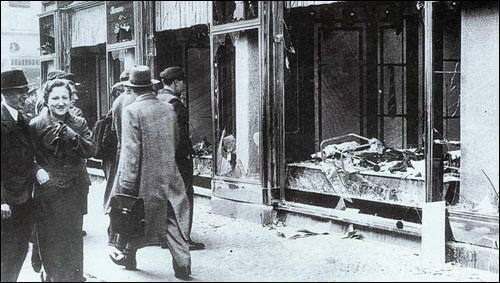 Despite having no diplomatic immunity, he sheltered Jews at his personal home as the city became increasingly dangerous in the aftermath of Kristellnacht. He also went into the concentration camps and saved Jews from there. But he retired in England and died in obscurity in 1958, only recognised as a "righteous among the nations" by Israel's Yad Vashem Holocaust museum in 1999. Speaking to an audience that included Lord Janner, the mayor of Barnet, and Andrew Burns, the government's first envoy for post-Holocaust issues, as well as Home Office minister of state Lord Henley, West London Synagogue rabbi Baroness Neuberger said highlighting Major Foley's bravery at a Jewish burial ground was fitting. "It's hugely important to have this memorial here," she said. "When we come in for funeral we do so with sadness, but for people who died a normal death in the normal order of things. Commenting that the spy's life was "like something out of a John Buchan novel", Lord Henley – filling in for Home Secretary Theresa May at the last minute – praised Major Foley as "a genuine British hero" who was driven by his convictions. "It's right that we remember his bravery and selflessness. He was an inspiration to us all."